Feel the difference as you treat your skin to a total rejuvenating treatment that will leave you with visibly firmer, younger skin immediately. Crystal Clear is the leading brand in Microdermabrasion, treating lines and wrinkles, dull dehydrated skin as well as being a breakthrough treatment for acne scarring and sun damaged skin. It works by gently exfoliating the outer layers of the skin to solve a wide range of skin concern. You’ll see a difference after just one treatment, however for more long term results a course of treatments may be required. Breathe life back into your skin. 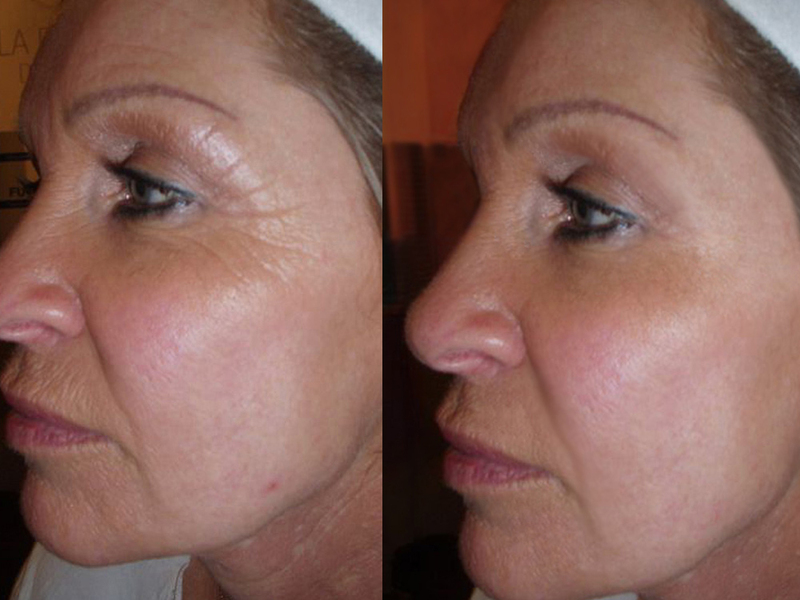 As we age, the oxygen levels in our skin naturally decrease, leaving it less elastic and allowing fine lines to appear. Crystal Clear Oxygen Therapy provides the ultimate in anti-ageing skin rejuvenation, replenishing this lost oxygen with immediate and visible results. Our secret weapon, Oxygen Serum, is packed with active ingredients which help to restructure the skin, visibly plumping out lines and wrinkles. This means the treatment continues to work long after you leave the salon, stimulating cell regeneration for a firmer and more youthful look. Crystal Clear Oxygen Therapy can also help with spot-prone skin thanks to the antibacterial effect of the serum, reducing the build-up of harmful bacteria and the threat of spot scarring. We also include these treatments for the chest, hands and upper arms for an overall anti-ageing treatment. The most intense skin rejuvenation treatment yet. A revolutionary new treatment – the first of its kind in the world, COMCIT goes far beyond conventional anti-ageing treatments and results are instant. This is the first time all of these skin rejuvenation methods – Cryo Oxygen, Micro-channeling Skin Infusion – have been included in one treatment exclusively by Crystal Clear and the results are incredible. Now known as the secret weapon of celebrities, COMCIT offers the simultaneous delivery of Cryo Oxygen, whilst our unique Microchannelling Roller creates hundreds of microscopic channels in the skin’s epidermal/dermal junction allowing the topical infusion of powerful skin ingredients and vitamins to be driven into the skin resulting in instantly smooth, fresh, firmer, plumper and more youthful skin which develops further over the following weeks. • Promotion of new Collagen production to turn back the years. For total rejuvenated skin we recommend a course of six treatments over a three month period and then once a month as maintenance. Want A-list skin? 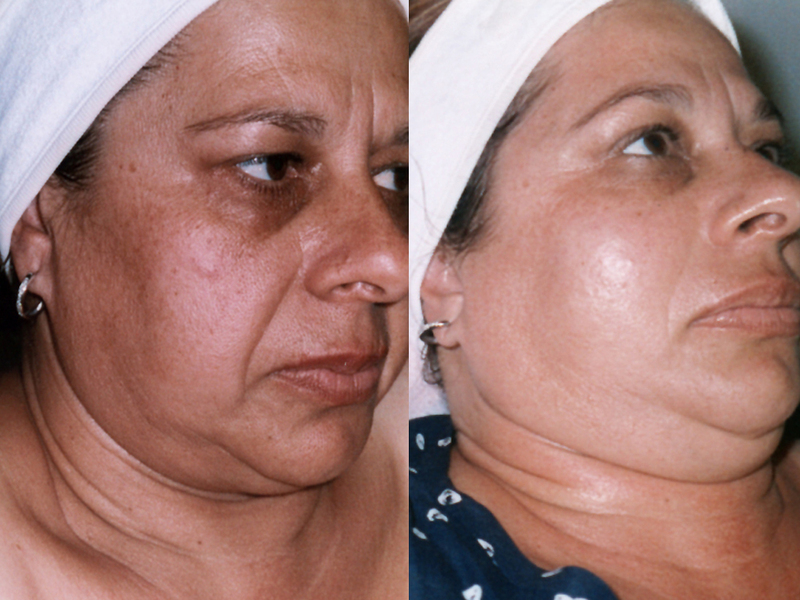 Get this collagen treatment on your radar. 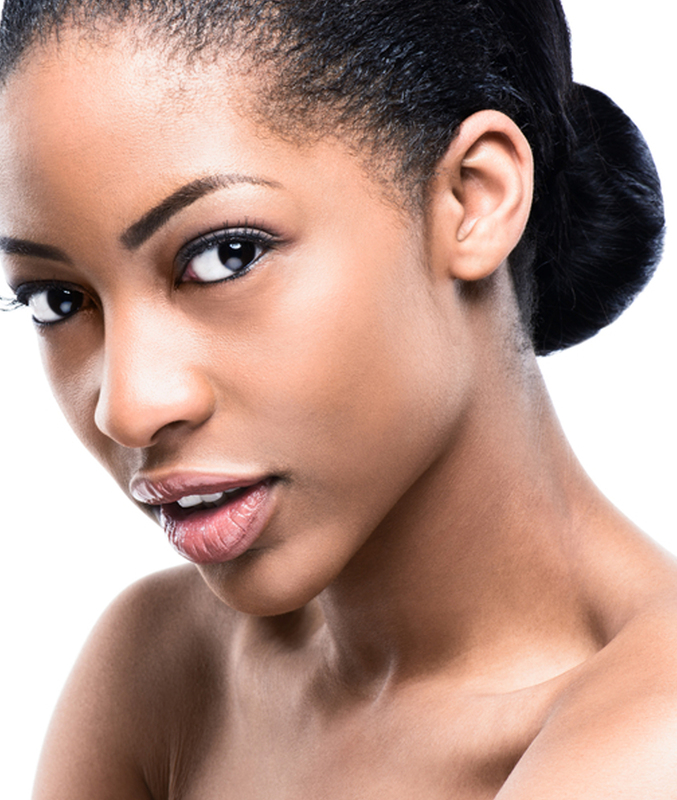 Crystal Clear’s H2O Glow COMCIT treatment for intense hydration and beautiful glowing complexion. It’s Crystal Clear’s most intense hydration treatment yet, giving red carpet ready results. 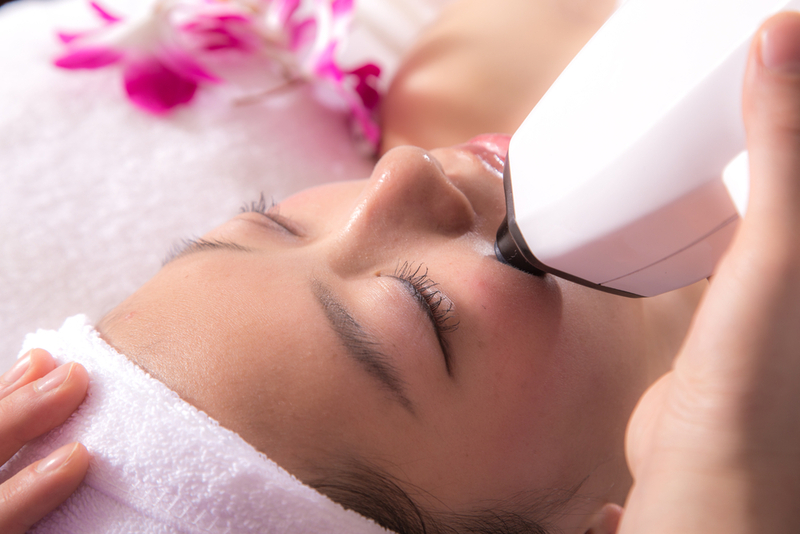 The H20 Glow facial delivers freezing cold oxygen throughout the epidermis to nourish and invigorate skin cells, while the COMCIT roller allows Hyaluronic Acid to reach deeper dermal layers via micro-channels; plumping and re-balancing the skin from the inside out. The results are instant, brighter, fresher, hydrated skin that glows with a youthful radiance. H20 Glow Treatment COMCIT penetrates the Serum into the epidermis layer of the skin more so than a hands on facial. 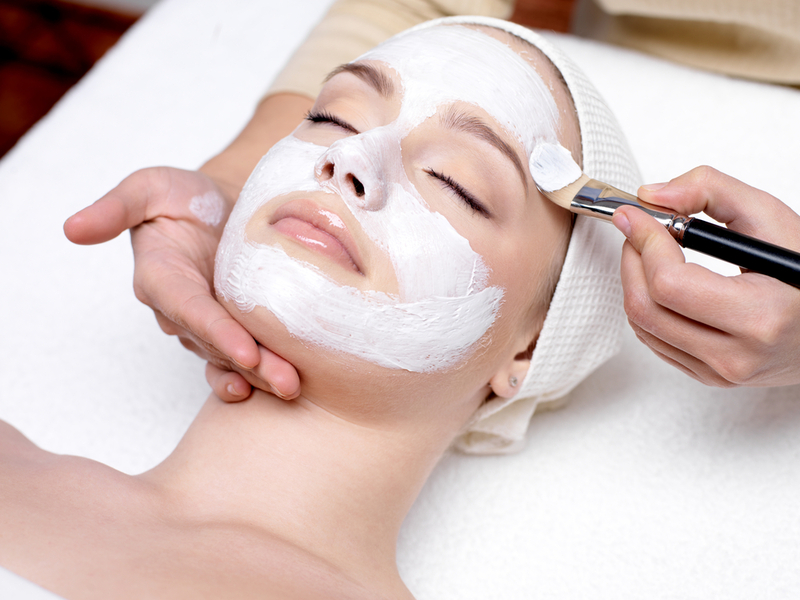 It’s the ultimate facial, already beloved by celebrities. 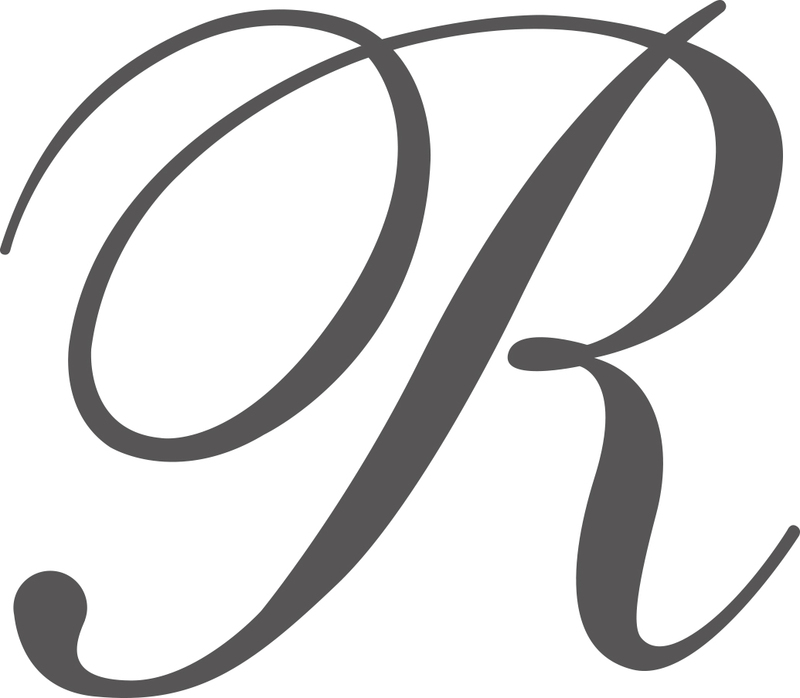 For total rejuvenated skin we recommend once a month as maintenance or great for a one off treat for a special occasion. The Elemis globally renowned hands-on facial treatments use touch as a powerful diagnostic tool. 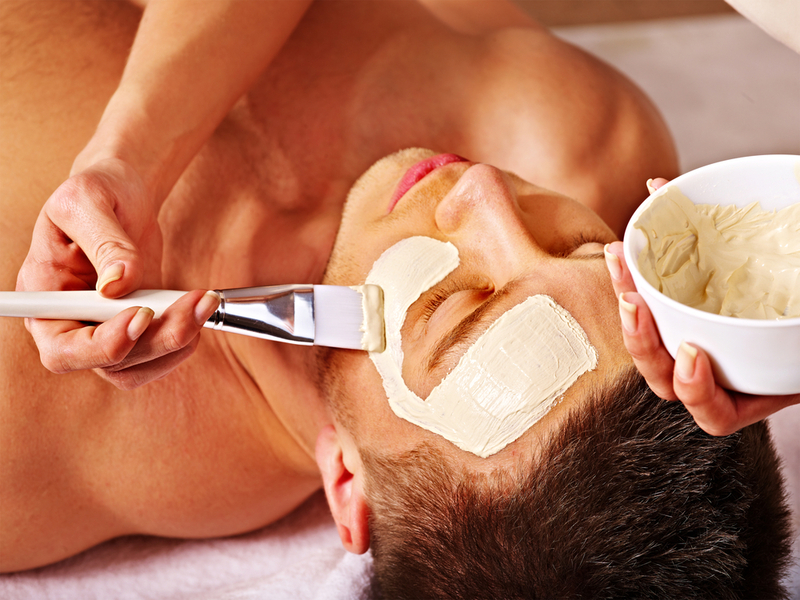 Product is applied using a combination of ancient and modern massage techniques from around the world creating a profoundly effective anti-ageing tool. Tackles fine lines and wrinkles for beautifully nourished, younger looking skin. The nutritional boost that packs stressed, dull skin with powerfully energizing and detoxifying actives. Alleviate stress, ease aching muscles and revive the senses with this powerful, customised massage. Dynamic blends of Essential Oils target individual needs and reduce specific stress and muscle tension. Minimum time, maximum results. This massage specifically targets the back, shoulders and neck areas to relax tense muscles and leave you stress free! with our expert therapist, this treatment is for the whole body, including bump! A relaxing scalp massage concludes your treatment. This is the perfect treat for Mums to be. The multifunctional CACI Ultra combines the facial toning functions of the award winning CACI non surgical face lift system with the skin regenerating applications of the world acclaimed FUTURE-TEC system. The CACI Ultra system incorporates 4 different technologies within one state of the art treatment device incorporating Microcurrent, Ultrasonic Peel, Hydratone and wrinkle comb. The system utilises a special ultrasonic handset that vibrates at 27,000 vibrations per second on the skin surface to exfoliate and deep cleanse the epidermis. Ultra’s unique wrinkle comb applicator is used to effectively and painlessly plump out and soften deep lines and wrinkles thereby providing a needle free alternative to dermal fillers. 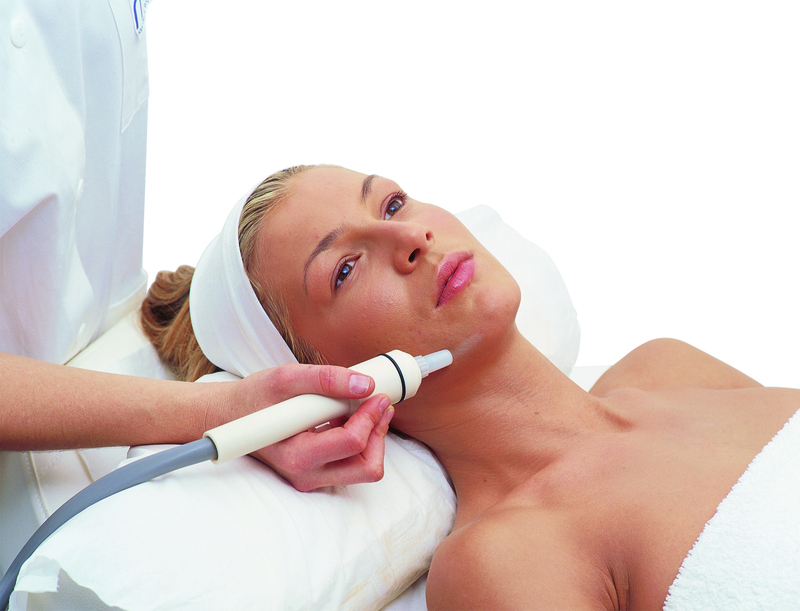 The CACI Facial is the award winning Caci Non-Surgical Face Lift which works by using Micro-current. The Micro-current uses a combination of specific waveforms and frequencies that work in harmony with the body’s own bio-electrical field. Tiny electrical impulses are transmitted through unique serum filled cotton tipped probes that accelerates the current, designed to re-educate tone, lift and tighten the facial muscles to reduce sagging, turn back the clock and enhance skin tissue repair. Uses new quad probe applicators to double the lifting action of the CACI treatment – enhancing results and reducing treatment time. Only 20 minutes long, this treatment emits tiny electrical impulses in conjunction with unique serum filled cotton buds to lift, firm and redefine your facial contours tightening unsightly sagging and giving you your youthful jawline back! It is a painless treatment, though some clients may experience slight tingling or a metallic taste – all perfectly normal. 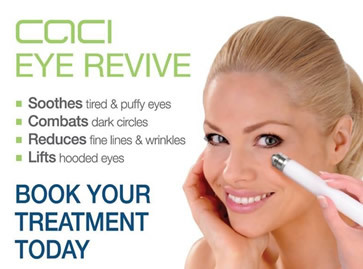 The Treatment uses serum filled CACI microcurrent eye rollers to infuse the CACI Eye Revive serum deep into the skin, to reduce puffiness and dark circles. The deeply nourishing Hydro Eye Mask is then applied to sooth the skin and reduce fine lines and wrinkles.